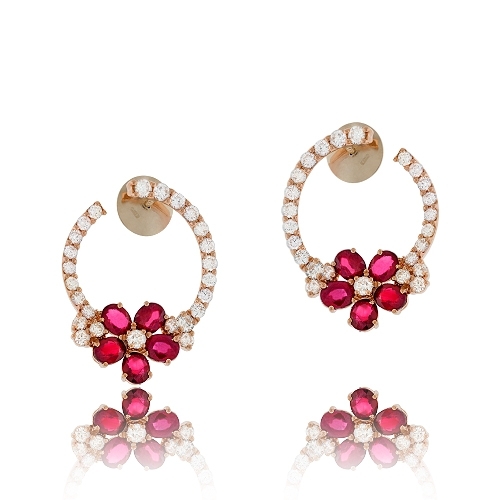 Round diamond prong set with a ruby flower composed of oval rubies set in 18k rose gold. Diamonds approx. 2.42ct. Earrings 1.4"